Iqbal Ahmed runs an international business supplying a variety of food and frozen seafood worldwide and employs around 4500 people. His clear vision for the business has led to a string of prestigious awards for Seamark. In 1998 excellence in the field was recognised in the UK with a Queen’s Award for Export Achievement. In 2000 he made a significant investment in Bangladesh when he established Seamark BD, inaugurated by HRH the Princess Royal. The company has received a number of Gold trophy Awards from the Government of Bangladesh for achieving the highest exports of seafood. Establishing a financial institution in Bangladesh – NRB Bank Limited, is one of Iqbal’s biggest achievements. He dreamt of unlocking a new horizon to the Bangladesh economy by facilitating NRB inward and outward investments and increasing the inflow of foreign investments/remittances. Iqbal makes time for charity works despite his busy schedule. 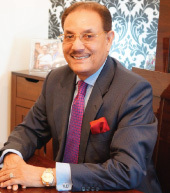 He is Chairman of The Iqbal Bros Foundation, a charity registered in the UK and involved in many charitable works mainly in education and healthcare. The charity is a fundraiser for the Manchester Children’s hospital. He also developed a secondary school and college for 1400 pupils in Sylhet, Bangladesh. He was awarded an OBE for services to International Trade in 2001 and has been a recipient of many awards and recognition from private and government organisations. Over the years Iqbal has played an active role in a number of government committees, ministries and advisory bodies in the UK. 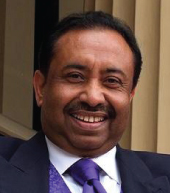 Bajloor Rashid MBE is a British Bangladeshi businessman and philanthropist. He is best known for his tenure as President of the BCA 2006-2012. Bajloor’s business activity has been prolific in the UK and Bangladesh. His efforts include state-of-the art restaurants, a property company, an insurance company, a hospitality resort and three medicare service institutions including a 500 bed medical college hospital in Bangladesh. Bajloor is also a director of a Bangladeshi travel tour company and a chairman of a company specialising in gas filling station outlets. He is currently Chairman for Progressive Life Insurance Company Limited. Humanitarian causes have figured large in his adult life. He is a dedicated social worker and has always been at the forefront of many community movements. Whilst president of the BCA; he was at the forefront of the great Trafalgar Square demonstration which attracted tens of thousands of people. This sparked a debate in the House of Commons just days later about the immigration rules. The demonstration was aimed at drawing government attention to the problems the curry industry had over skilled chefs being included in the shortage occupation list of UKBA in 2008. His work has been recognised by sitting and past Prime Ministers and also by the leader of opposition, Mr Ed Miliband MP, who all have singled out Bajloor’s contribution to the curry industry. His strong entrepreneurial sense means that he is always looking at ways to create something new for people and is currently researching and working on a number of new projects. He says “The best way to address social injustice among the have-nots is to teach them skills and get them into work”. He ensured that the members who joined the BCA had every opportunity; to not only develop their business and social skills, but also to build their leadership and philanthropic capabilities. In the BCA, Bajloor was instrumental in giving the BCA Awards international status and industry recognition, through his drive to build the brand. Throughout his career he has received many awards; in 2012 and 2013 the BB (British Bangladeshi) Power 100 List, ranked him as one of the top ten and top twenty most influential BB individuals in the UK, more recently Channel S awarded him Business Personality of the Year. Mr M.A. Rouf, a textile engineer, is one of the Sponsor Directors of Mutual Trust Bank Ltd. (MTBL) in Bangladesh. 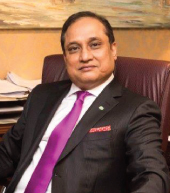 He also holds the position of Chairman of Britannia Properties Ltd., Britannia Holdings & Management Ltd., Britannia Developments Ltd., Britannia Assets & Equity Management Ltd. and Diamond Properties (Bangladesh) Ltd. – a group of companies in Bangladesh. He is a hard working and creative person with a talent for spotting business opportunities and developing and optimizing them in both home and abroad. He serves as the Chairman of Balaka Bangladeshi Food Ltd. In the UK Mr Rouf is also the Chairman of Diamond Properties (UK). One of the buildings the company built received the Civic Trust Award from the Scottish Building Authority, the first time an entrepreneur with a South Asian background has received such prestigious accolade. He also assumes the role of Director at Tiger Tours Ltd. Bangladesh and Vice Chairman of Sonata Shipping Lines Ltd – which is registered in Singapore. Mr. Rouf also ornamented the position of Finance Director of Scottish Cancer Research Center for eight years. He is a Justice of Peace (JP) for Scotland. He is a life time member of University of St. Andrews and also a member of St. Andrews Golf Club – the second oldest golf club in the world. He is also holding the post of Vice Chairman of University of St Andrews Union Debating Society – the oldest debating society in the world for the last 15 years. He is the chairman of St. Andrews University cricket club and also the member of Bangladesh Army Golf Club. Mr. Rouf was born and brought up at Gulshan in Dhaka which was his native village in a renowned family. He established a school named “Amirjan High School” in Dumni with his nephews, which was named after his mother. The school is doing an excellent result for the last 10 years. So far it has a 100% pass rate in SSC exam including golden A+ and A+. In 2012, he also established “Amirjan College” again along with his nephews and Mr. Rouf is now holding the position as the advisor of the college. Currently the school and college have 1800 students in total. Presently Mr. Rouf is busy with his dream project – Scottish Village, a multi million dollar project in Dhaka which is just 2.5 km far from Baridhara diplomatic zone and which will be a fully gated residential and commercial landmark with 14 acres of land and with height clearance of 250 feet i.e. 30 floors. Mohammed Abdul Gani was born in 1941 in a village called Akakhajana in the Beani Bazar Upozila of Sylhet. He was raised in an educated but conservative family who taught him to be honest, respectful, and kind to others. Mr Gani completed his primary education in his village school, followed by his higher education at the Sylhet Government High School. Later he completed his bachelor’s degree from the M. C. College in Sylhet. In 1962 Mr Gani migrated to the United Kingdom where he initially worked in various restaurants before starting his own restaurant business in 1970. In 1981 he returned to Bangladesh with the desire to start a business that would help create employment in the country. With the help of a good friend, they set up a garments factory in Dhaka which employed 500 people. Through perseverance, dedication, and hard work the business has grown and is now an exemplary garments factory employing nearly 9000 members of staff. The factory has been accredited by The Accord for successfully achieving all the compliance regulations. Visitors to the factory have included the Brand Ambassador of World Bank, EU Parliamentarians, MPs and other official dignitaries. He is actively involved in many charitable activities, most notably as Trustee and Vice Chairman of the Beani Bazar Cancer Hospital. He is also a strong believer in the value of education for young people, and have made notable donations to educational institutions such as the Beani Bazar Women’s College, Kurar Bazar College, and the Madrasa in his village. Beyond these, He hold interests in several other ventures in Bangladesh. However, He remain closely tied to his original trade of the restaurant business in the United Kingdom. 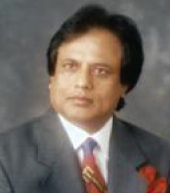 Nazmul Islam Nuru has established himself as a businessman since 1980s in the UK as well as Bangladesh. He has connections in various businesses as well as being involved within the community in numerous charity organisations. This has been demonstrated by a fourteen-year commitment to the BBCC as a Director and a founder of both Mother and Child UK and the renowned Kushiara Islamic Hospital. In addition, he holds the post of Director of Shahjalal Islamic Bank BD. Mr Nuru is involved in many business developments and activities, namely Viceroy Group Restaurant UK, Fairview Enterprise Ltd, Grand Eating Ltd and in Bangladesh, the Monica Enterprise Ltd and Al Jalal Ltd.
His extensive property portfolio is managed under Property Management of Windsor, Berkshire as well as Osmani Housing Prokolpo Airport Road in Bangladesh. 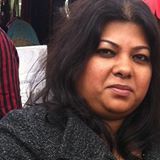 Ms Rohema Miah is an independent Public Relations Consultant and is currently the Political Advisor and Researcher to The Baroness King of Bow. She has extensive event management and PR consultancy experience with a particular focus on BAME and diversity, community development & advocacy, equal opportunities, community relations, social mobility, child poverty, international development and climate change. Ms Miah was the former personal assistant to the Rt. Hon. Harriet Harman QC. MP and was an executive founder member and press officer for the Muslims for Labour Group. She is a Trustee of Henna National Foundation and a Member of the Muslim Women’s Network. She was awarded with the role of Ambassador for Peace by a UN affiliated organisation in 1997. Her significant roles include Political Affairs Executive for MUSIAD UK, an Independent Industrialists’ and Businessmen’s Association. Musiad UK is a non-profit businessmen’s association, which has 5.560 members representing more than 15.000 companies, MUSIAD contributes to 15 % of Turkey’s GDP with 17 billion US Dollars of exports, and 5 billion US dollars of investment employing 1.200.000 people. Other previous commissioned work includes the position of public affairs officer for Four Communications Ltd & Advisor for the launch of UMCOR/Muslim Aid NGO Partnership and Director for Earthcare International- A charity set up by Jermaine Jackson brother of the late Michael Jackson and Advisor to NGO The International Commission of Peace (ICOP).Ms Rohema Miah was the Co-ordinator for Alif Aleph Muslim and Jewish (A dialogue group –on the Promotion on Interfaith Dialogue). Ms Rohema Miah is a motivational public speaker and has been invited as a keynote and guest speaker at both national and international events such as the Women’s Islamic Initiative in Spirituality and Equality (WISE) Conference held in Kuala Lumpur, Malaysia along with other renowned International speakers. Event and Political Engagement Manager for the Bangladesh Caterers Association. 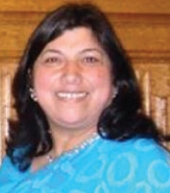 As co-ordinator for the Ethnic Catering Alliance She co-ordinated BCA’s Trafalgar Square Static Rally in April 2008 which was attended by over 50,000 people, BCA Gala Dinners & Annual Awards, and organised various conferences and seminars both internationally and in the UK. Dr M G Moula – Best known for his entrepreneurship, philanthropic skills and ability to have grown successful businesses in the UK and Bangladesh. In 1980, whilst studying on a part- time basis, he joined his family’s clothing business. In 1987, he launched his first multi-award winning restaurant, Rajnagar International, which followed by a successful restaurant chain, hotel, land and property development in the UK and Bangladesh. 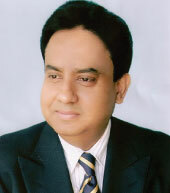 By 2010, Dr Moula launched MBM Business group, and consists of MBM Agro Industry, MBM Media, MBM International Recruiting Travel and Tours and MBM Builders Mart BD-UK Ltd- The first ever one-stop building materials super store in Bangladesh, inaugurated by the Industry Minister and other influential figures. Originally, initiated to establish something innovative and a hassle free one-stop service. Alongside many prestigious business awards and recommendations, in 2005 he received a honorary doctorate in Business Management. In March 2011 he was one of 12 elected CIP NRB (Commercially Important Person) out of Bangladeshi expatriates around the world, on behalf of the people’s republic of Bangladesh Government, for his remittance and contribution to the economic development of the country. Dr Moula has supported many charities across the UK and Bangladesh. He has funded several institutions and infrastructure buildings as well as offering scholarships to talented students. In order to increase awareness of literacy in Bangladesh he has published a book named “A Complete English Grammar”. He has also founded schools, masjids and madrasas in order to help the local communities. Chairman of Dr Moula Foundation, MBM and Rajnagar Group, regional co-ordinator of the Dine Bangladeshi Campaign, President of the Guild of Bangladeshi Restaurateurs (Midlands), founder president of Moulvibazar Jela Shongstha Birmingham and is sponsor life member of London Bangla & Moulvibazar press club and Red Crescent Society, He served as elected vice President of the Bangladesh Welfare Association (B’ham). Abdul Quayum Khalique (Jamal) is an Entrepreneur and one of the Directors of Taj Stores. A thriving family business in the heart of Brick Lane, which has been established since 1936. Taj Stores is now one of the most well-known leading Bangladeshi supermarkets in the UK. Over the years, Mr Abdul Khalique and his brothers have expanded the Taj profile, growing the business into many new ventures both in the UK and abroad. They launched Taj Properties Management with small plans such as renovating commercial and residential properties. Now they have many development sites in the UK, Dubai and in Bangladesh. They have just completed a construction project called Earlham Estate in Norwich, which consists of 84 apartments and 21 units. Currently Mr Abdul Khalique is one of the directors of NRB Bank Limited, Bangladesh in which his company have made major investments. As well as his entrepreneurial side, he has always been keen to maintain his roots in Bangladesh and help poor and vulnerable people. Mr Abdul Khalique believe charity should begin at home and this has been inspired by the love and compassion he saw his father give to the Bangladeshi community. Thus, they launched J Brothers, a charity organisation where they build houses and donate land to helpless families in Bangladesh. Mr Abdul Khalique is very dedicated to his businesses and passionate about building and progressing their profile in this fast moving, developing age. He is working on many great projects for the near future, which includes some more Charity work and Wind Farming. He thrives on new challenges and is always excited about development and schemes connected to his roots and community. 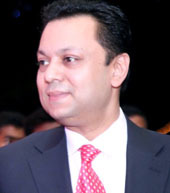 Mr Anawar Babul Miah is the son of Late Alhaj Barik Miah who settled in the United Kingdom in 1957 and who was the Founding Chairman of a major British investment company. Anawar was called to the Bar by the Honourable Society of Lincoln’s Inn in 1998. 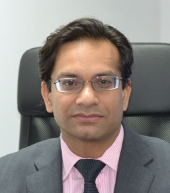 Anawar is the President of the British Bangladeshi Practicing Barristers Association and he practices law from Great James Street Chambers near Chancery Lane in Central London. His chambers are listed in the Legal 500 directory of ‘Who’s Who in the Law’, and he has been involved in many high profile legal cases. His chambers have been involved in notable cases including acting in cases associated with the September 11th attacks in New York and cases involving the Enron Corporation of America scandal. His chambers have also been involved in publications such as the leading authority on Extradition and Mutual Assistance published by Sweet and Maxwell and ‘Blackstone’s Guide to the Terrorism Act 2006’ published by Oxford University Press. Anawar is regarded as a leading Barrister and an expert on complex financial arrangements and contentious litigation. He acts for blue chip companies and high net worth individuals advocating in trials which are noteworthy. 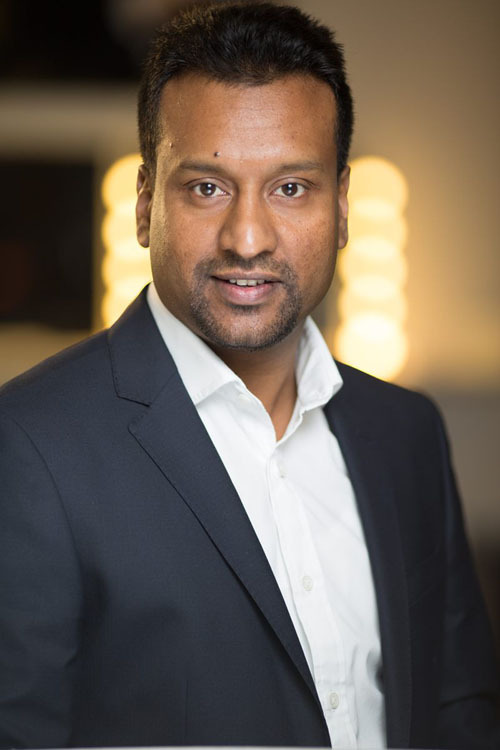 Anawar is also involved in his long established family business which owns and operates an extensive network of different companies in the UK including real estate, one of the biggest freehold restaurant portfolio’s in the British Bangladeshi community, professional services and events venues. Aside from legal issues Anawar has also written numerous articles on current affairs which have been published. Anawar is regularly invited to speak on televised live debates and discussions as well as to give lectures and seminars throughout the UK. Anawar’s wife is also a Barrister and she runs her own law firm. Saiful Alam was born in Bangladesh 1970 in Nabigonj Upozila, Inathgonj Union Esopur Gram. He completed his SSC education in Inathgonj High School in 1986. Then he took admission in Moulobi Bazar Governor College in 1987. In 1988, he came to the UK with his family. He then took admission for higher education in Kingsway College in London. For his work experience, he worked in the Royal Opera House in Covent Garden, London. He also worked as a shift manager 7/11 convenient store in Bayswater London. His first business that he owned was a grocery shop in St. Pancross in 1993, London. In 1996, he started his first restaurant business in Chinnor, Oxfordshire. Then in 1999, he moved to Watford and opened a restaurant called The POB. 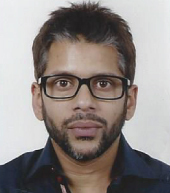 Saiful Alam enjoys travelling to other countries and community work- he is the Trusty of the Nabigonj Education Trust and General Secretary of the Inathgonj Welfare Trust and he was the Secretary of the Watford British Bengali association and is the membership secretary of the BCA. He also likes sports and he is the franchise owner of the Soccer Football League West Herts. Kamru is currently the Managing Director of the District One Estates Group, which focuses on property investments and developments. After graduating with a BA (Hons) in Accountancy, and Law, he initially trained as an auditor with the Audit Commission for some three years. 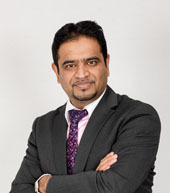 He is a well-respected property entrepreneur in the UK and has helped over 6,000 fellow Bangladeshi people source and finance property deals through his property and finance companies. Having a financial and law education background has enabled him to own a variety of businesses. He is featured in the mainstream Whos’s Who publication, including being highlighted as Young Business Leader. Kamru is an executive of the Conservative Muslim forum, an affiliated group within the Conservative party. Despite his busy schedule, he makes time for charity work. He has for many years sponsored a number of charities both in the UK and overseas. He is voluntarily involved in work with the youth, elderly, people experiencing poverty and homelessness. He has also worked as a volunteer at the Citizen Advice Centre. He is the director of the Johur Ali Trust, which donates to the vulnerable and needy in Bangladesh. Kamru works in a voluntary capacity to an enormous degree and has received numerous awards for his voluntary and charity work. She is a graduate from Dhaka University where she studied Economics, Psychology and Geography. Realising the importance of technology, Neela completed a post graduate diploma from the National Institute of Information and Technology. She is a member and graduate of the FLASH (Institute of Sustainability), a Greenwich University project funded by the EU. Neela was active in Information Technology as an IT teacher at the London EDEXCEL affiliated Cider International School, in Chittagong, Bangladesh. She started a club, Computer Blaze, for children and Oven Hot Cookin Club, to encourage women in business enterprise. In 2006, her family came into the UK under the Highly Skilled Migration Programme. In 2009, Neela decided to import Bangladesh spices to the UK. Neela’s Home Ltd has for the three consecutive years a company that she imports from achieved three times ‘Best Brand Award’ in Bangladesh for their spices. Starting off using her small savings of £4000, within four years the company Neela’s Home Ltd achieved a turnover approaching £1m. Mohammed was born in Luton to Bangladeshi parents. Having opened the Curry Cottage in Oxhey, Hertfordshire at the tender age of 19, from this thriving business his next venture was the opening of the Raj Garden in Bushey, Herts in 1997. This particular restaurant went on to become his most successful eatery, winning numerous awards for its service, support and contribution to the local community. Many other restaurant openings took place around the UK as a result of his early success. In 2002 Mohammed then broadened his business portfolio as a property investor. 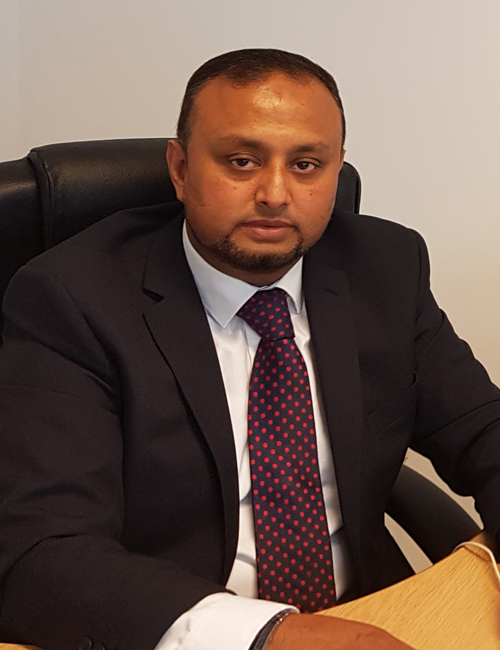 He is the sole owner of M.S Rahman Properties (Real Estate) and is also a director of Luton Property Management and the senior negotiator for Simply Move, overseeing the management of properties. He is an EC member of the BCA, and holds membership on property bodies: the National Landlord Association and ARLA. Charity organisations close to his heart are the Jalal Pur Welfare Association, of which he is a secretary. In addition Mohammed sits on the advisory board for the Dhokin Surma Committee, a Bangladesh based charity. He is also a member of the Peace Hospice and various other Watford based charities. Jamal Uddin Mokkodus has been in business for around 40 years. He has a very diverse portfolio of businesses between the UK and Bangladesh ranging from restaurants, wholesale foods, insurance companies to being involved in a theme park. He is also involved in social and charitable projects.The founder and director of many catering establishments in the Essex region, where he is based. He even introduced Indian food to the people of Harlow in Essex. Also Vojan is one of the largest Indian fine dining restaurants in Essex of which he is the founding director. He also owns the Raj Lodge in Harlow, Garden of India Harlow, Raj In Epping, Vojan in Ongar, Sanuk in High Ongar, Star of India in Hillingdon and the Chequers sports bar and hotel in Royston. He has a wide array of residential and commercial properties. 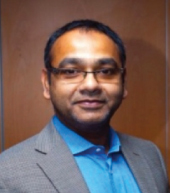 Jamal Uddin Mokkodus is one of the founders and chairman of M18 a wholesale food business. This business started off solely as way of maintaining quality of the products used in his establishments and for greater traceability. But now the business has grown to supply many restaurants not just Indian but Thai, Chinese and other cuisine styles. Also providing retail to the public and still expanding. In Bangladesh he is one of the founding directors of Homeland Life Insurance. The founding director and chairman of Adventure World theme park in Sylhet. Jamal Uddin Mokkodus has a high school in his village that he solely funds. This school was initially set up for everyone that is underprivileged but is inclusive of everyone at no cost to any students or the families. The poorer families also receive a grant from him to assist furthermore with their lives. There are other charities that he is patron and actively involved in within the UK and Bangladesh. Award winning chef and entrepreneur Oli Khan has been cooking up a storm in the UK over the last few decades. He has won countless awards for his cooking and community liaison. Despite his enormous commercial success, he cares deeply about what he calls his “social obligations” to the underprivileged in Bangladesh and the United Kingdom. He has always been very devoted and committed to charitable works and has assisted with many philanthropic works around the world. 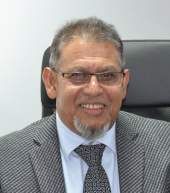 In 2002, he even set up his own charitable foundation and is currently the Senior Vice President of the Bangladeshi Caterers Association (BCA) UK, Director of UKBCCI and founder and Secretary of the BBBF. As a result of his passion for cooking, Khan has expressed his concern that the reduction in non-EU migration can have implications upon the lack of skilled chefs available in the British curry industry. To this effect, he has expressed his views on such media outlets as BBC, SKY, ITV, BBC Look East, Zee Café, Sony TV, LBC and BTV, The Economist, Daily Star and many more. To rectify matters, Khan has put his concerns into action and has started co-operating with some well known educational institutions such as Barking and Dagenham College, Cambridge Regional College and collages local to Hertfordshire with regards to facilitating training courses in cooking. An eminent business personality and established Social worker, Harun Miah has played a vital role in the field of Social Services. He is associated closely with many socio-cultural and Social Welfare Organisations both inside and outside of the country. 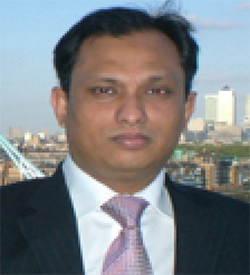 Harun Miah is one of the Trustees of the London Based Bangladesh Centre, Trustee of the Golapgonj Education Trust, Treasurer Al- Emdad Science & Technology Degree College, Donar Al-Emdad School & College and member of UK BATAA. He was also the Treasurer of the Al-Emad Golden Jubilee Celebration Committee. Mr Miah owns a number of business under the Kushiara name which include ‘ Kushiara Travels Ltd, Kushiara Cash & Carry and Kushiara Financial Services worldwide money transfer and bureau de change in Commercial Road East London. In addition he is also the owner of Bangla Frozen Food Ltd and a newsagent situated in Burslem Street, Tower Hamlets , London. Md Harun Miah has not only worked hard in the UK to distinguish himself but also has worked relentlessly in his Home country of Bangladesh where he was one of the individuals who helped many organisations. 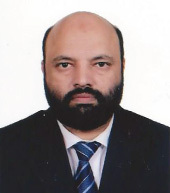 He is Director of Shahjalal Islami Bank Ltd and Shahjalal Securities Ltd in Bangladesh and has been appointed as Vice Chairman of the bank from 2010 to 2013. He is also a director of Pritom Hotel and Holiday Planet in Dhaka. Showkat Aziz Russell son of M. A. Hashem-an iconic Businessman (founder of Partex Group), ventured into industrial sector, manufacturing textile yarn, fabric, RMG, wood & jute chip particle boards with variety of veneered lamination and furniture, eventually branched out with Amber nationwide fashion outlets including Hotel & Resorts. He, however strongly stepped into Information & Communication Technology business under Amber IT facilitating Internet Gateway, software solutions, IP telephony, e-commerce furthering business in Media under Amber Media operating two FM radio channels, IP TV widely viewable globally, studio production house & recording company. In gradual progression all of his ventures culminated into Amber Group, Amber being the name of his beloved grandmother. The Group came into being in 1995 & steadily flourished with the gradual demand for its products in the market. Backed by highly advanced technology and sophisticated state of the art manufacturing facilities, Amber Group is being managed by qualified technical and management professionals. The excellence of its products and blooming genius of its personnel are the strength of the organization. Amber Group, with its various interests, is marching ahead with drive and determination to be reckoned with as one of the best in all areas it operates. In UCB, Showkat Aziz Russell played the most instrumental role in establishing the Core Banking Software (CBS) for extending technology-based services for its vast clientele. Moreover, he patronized the introduction of U Cash, the Mobile Financial Services of UCB, to include the country’s people having no bank accounts in the past under UCB’s service coverage. Showkat Aziz Russell is actively involved in promoting games and sports of the country. Currently, he is the Director of Bangladesh Cricket Board (BCB). 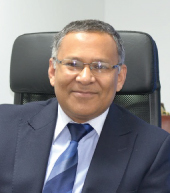 Mr Chowdhury has built up a career as business entrepreneur, converting his ideas into reality, achieving many successful business ventures both in the UK and Bangladesh. At the age of 19, after obtaining a diploma in business studies, he began his own restaurant business owning a number of award winning restaurants such as the Bengal Clipper, Bengal Lancer, Curry Leaf East, Gufaa Raja, and Thai Moon. Mr Chowdhury has also established a property business called PKC Estates Ltd.